The Memphremagog Watershed Association was founded in 2007 as an organization dedicated to the preservation of the environment and natural beauty of the Memphremagog watershed and to ensure its protection for generations to come. 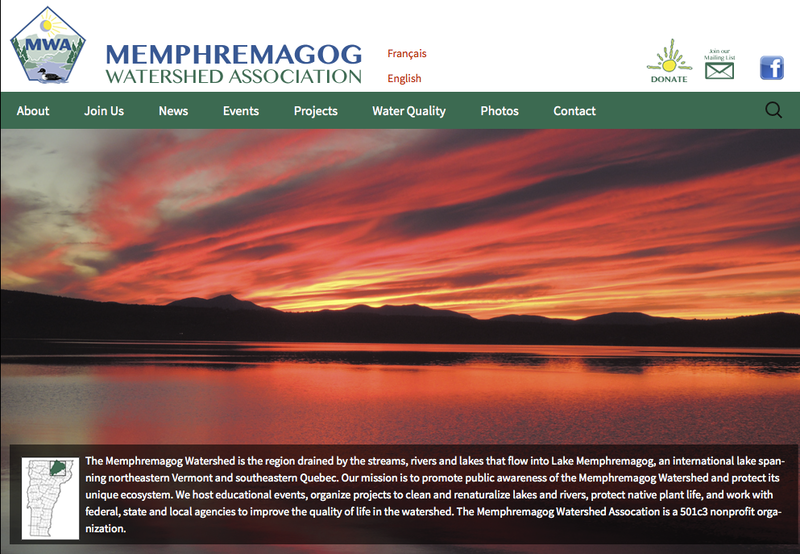 Memphremagog Watershed Association is a 501c3 Association. This entry was posted in Community Organizations. Bookmark the permalink.